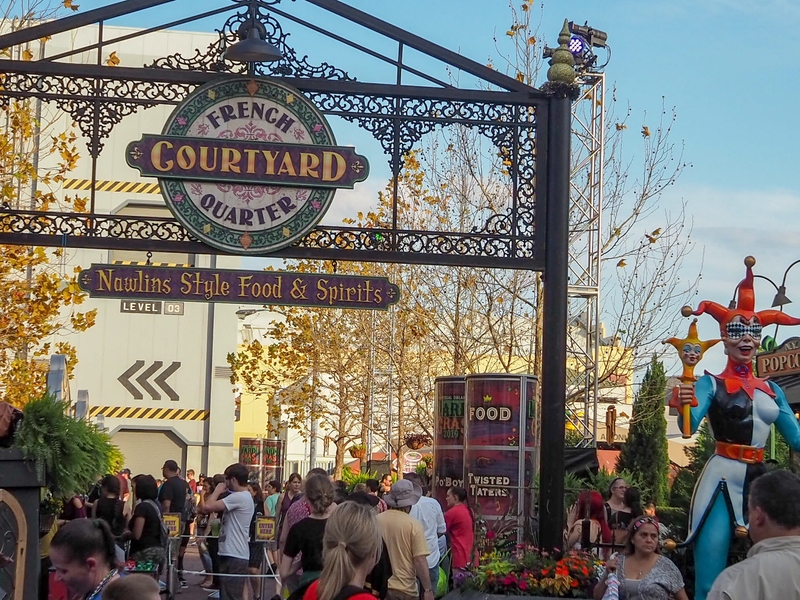 On a late afternoon at Universal Studios this time of year, one can stroll around the “New Orleans French Quarter” and hear a live New Orleans style jazz band playing as entertainers and performers, decked out in jester costumes and crawfish costumes call out to passerbies with jokes and quips. 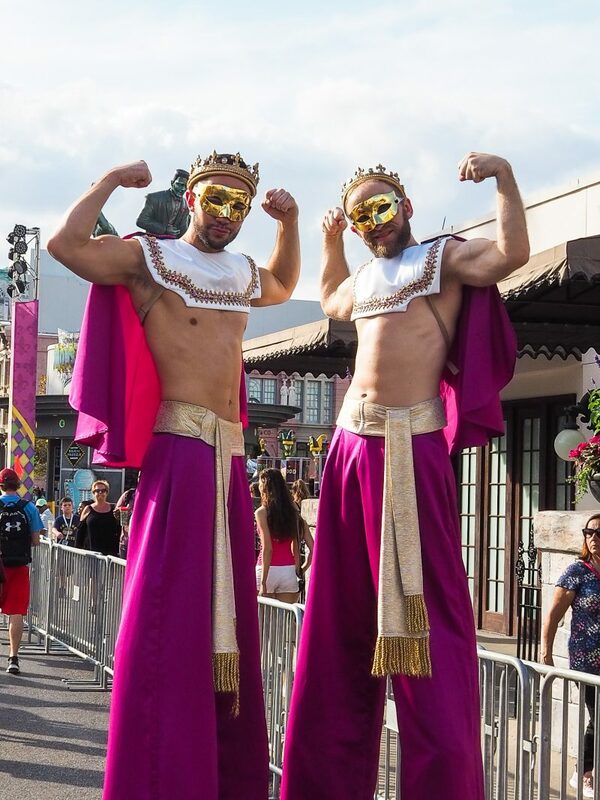 Stilt walkers dressed in mermaid and exotic far eastern attire, pause to smile for selfies. 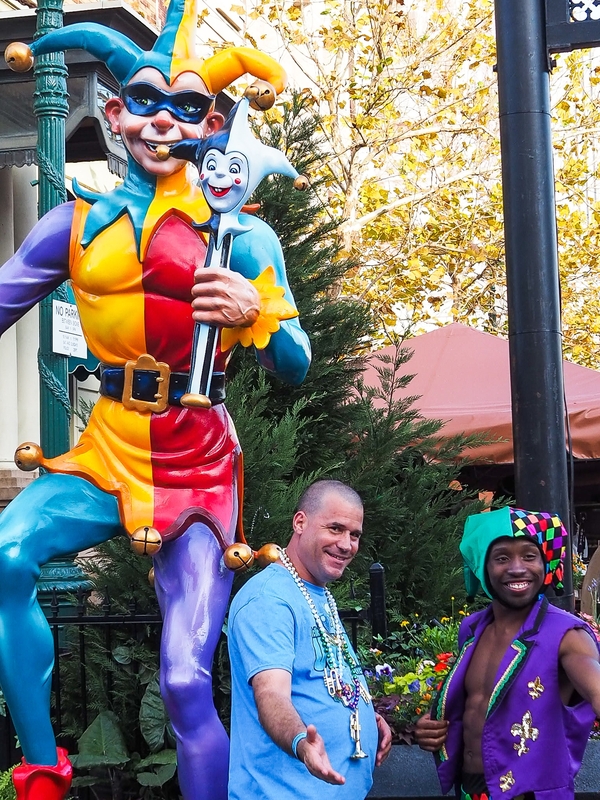 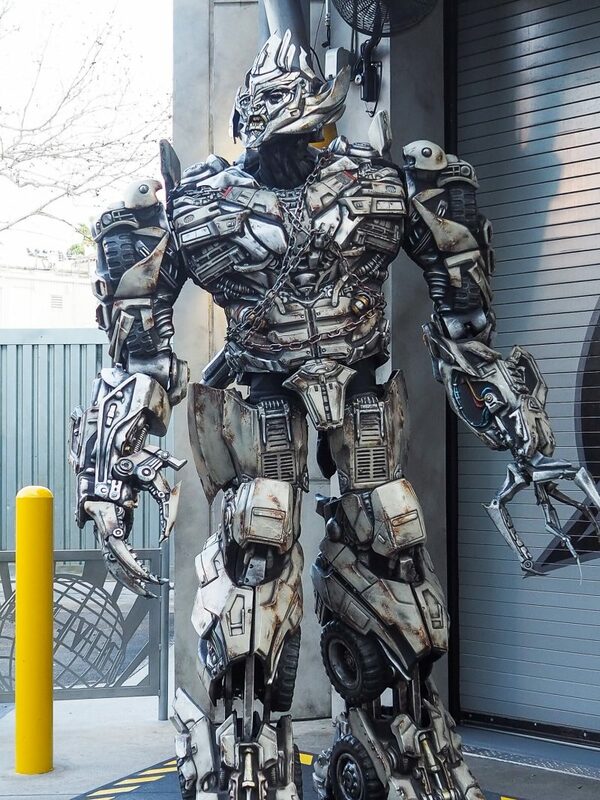 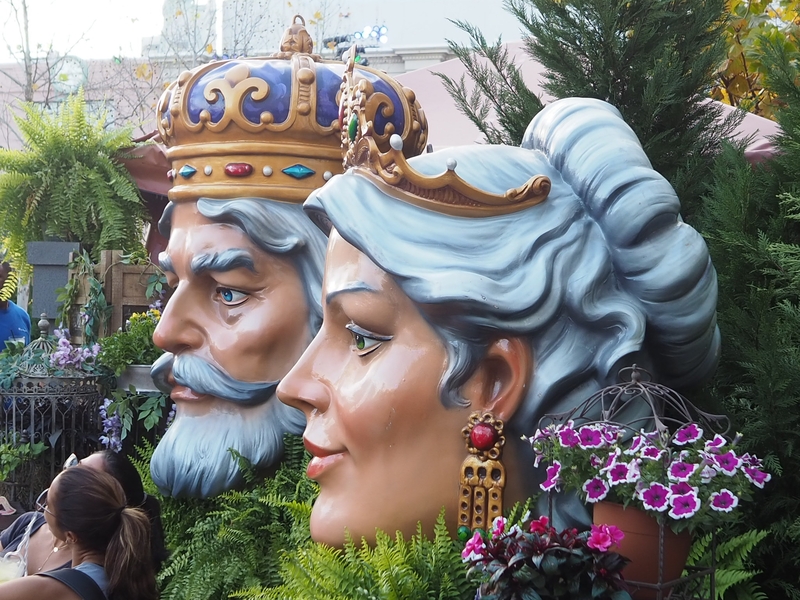 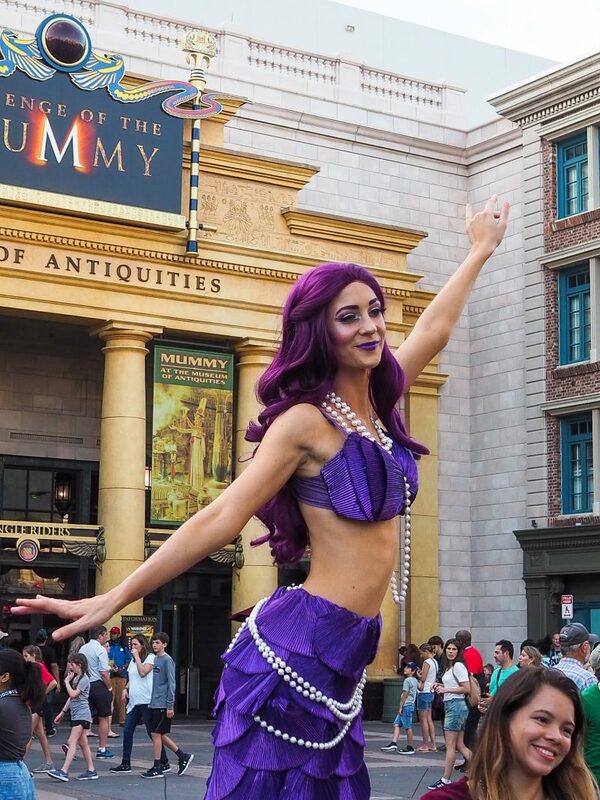 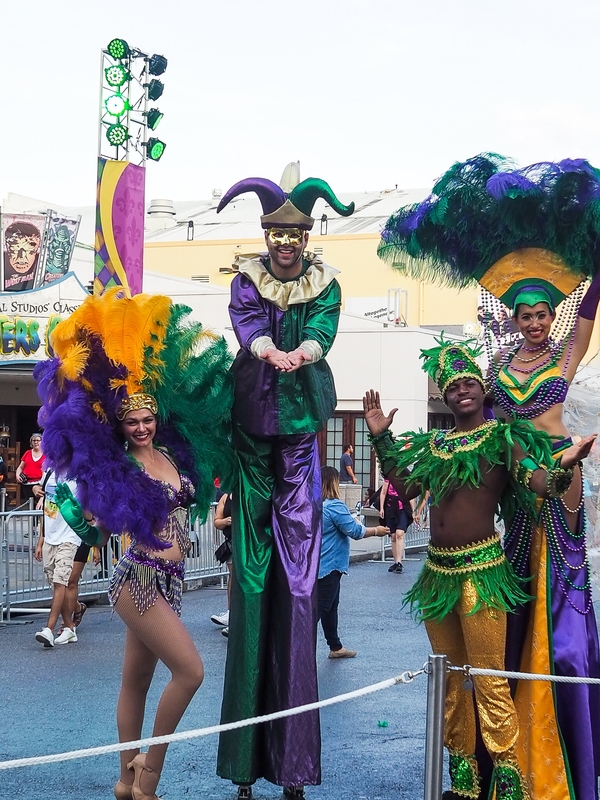 There is a carnival atmosphere in the air – this is the time of year for the Mardi Gras Celebration at Universal Studios Orlando which runs this year from Feb. 9 through April 4. 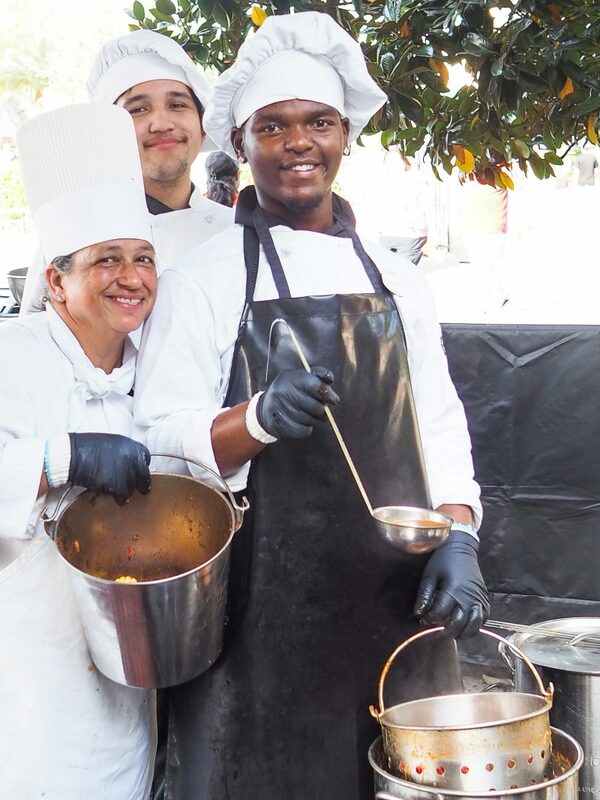 Louisiana’s diverse history brings together flavors from French, Italian, Portuguese, Spanish, and African cultures into a beautiful, rustic spicy stew known as Cajun cuisine. 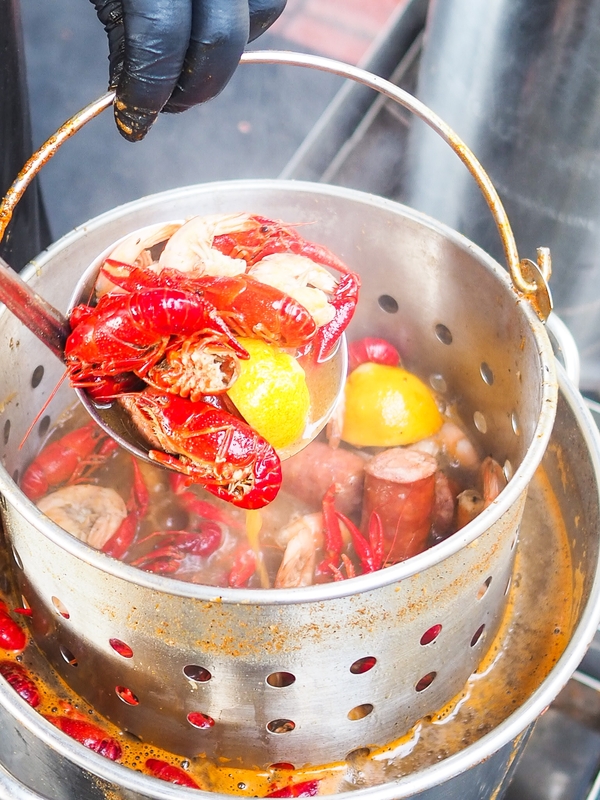 Much of the cuisine is characterized by steaming pots of rice, spicy Andouille sausages, juicy shrimp and seafood, tomatoes, and the holy trinity of green bell peppers, onions, and celery. 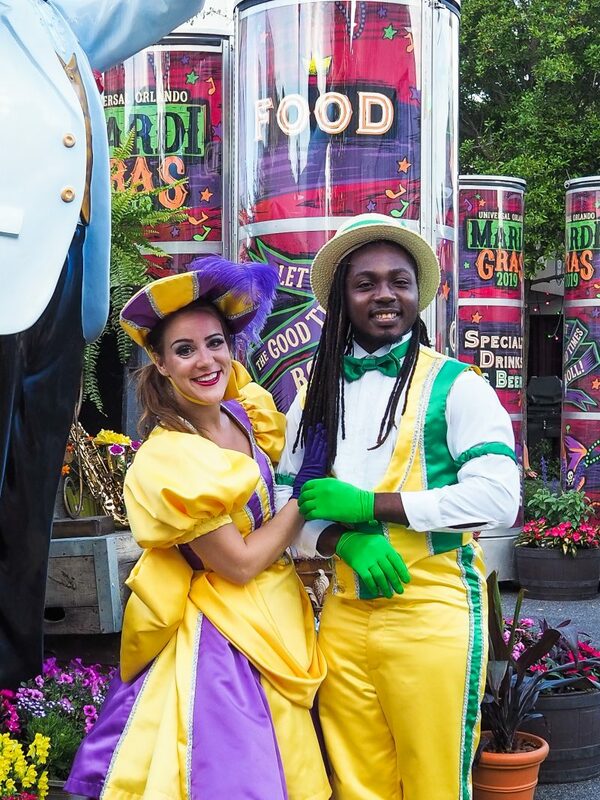 We were invited to a media visit for the Bayou Boil, a new add-on experience to the Mardi Gras Festival on select nights. 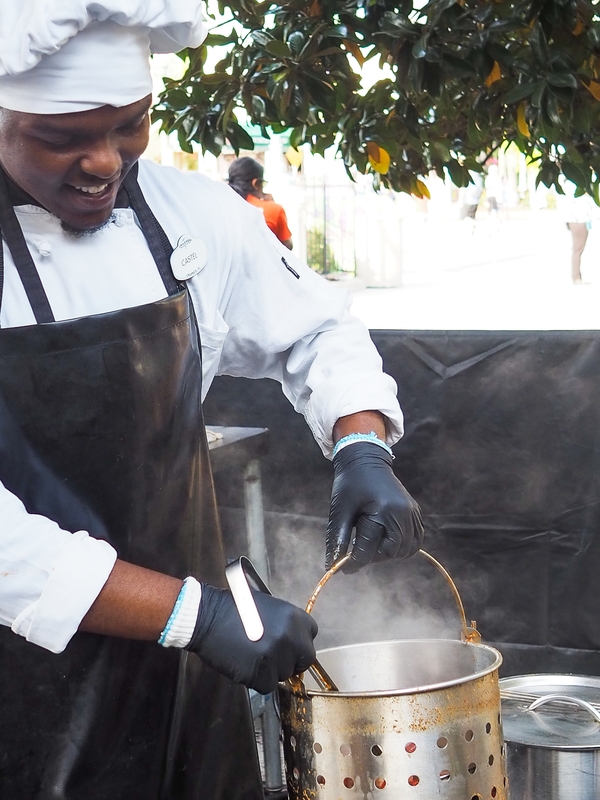 Chefs and cooks stir over steaming, boiling pots of seafood, mixing in their Cajun spice blends as the pots continue cooking for service. 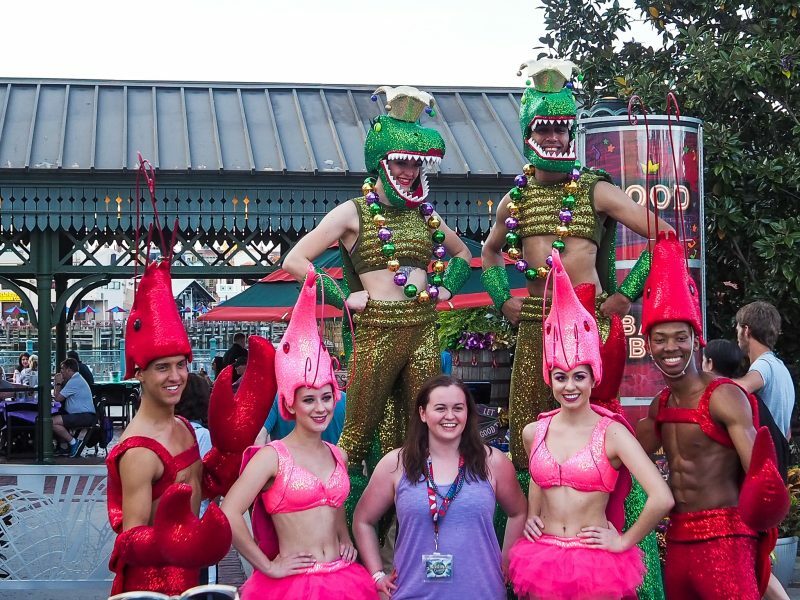 Servers come by to pour out buckets of the freshly prepared seafood on a platter on your table. 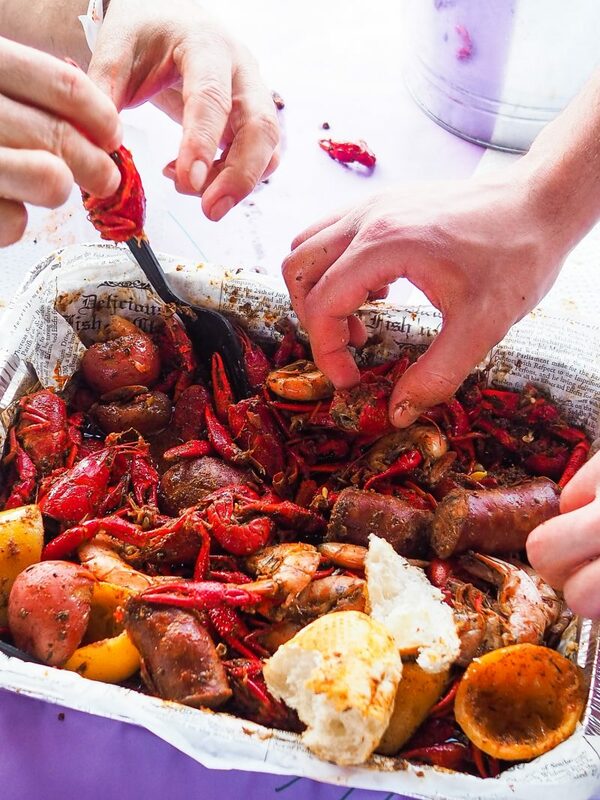 It’s a good old fashion southern Cajun boil. 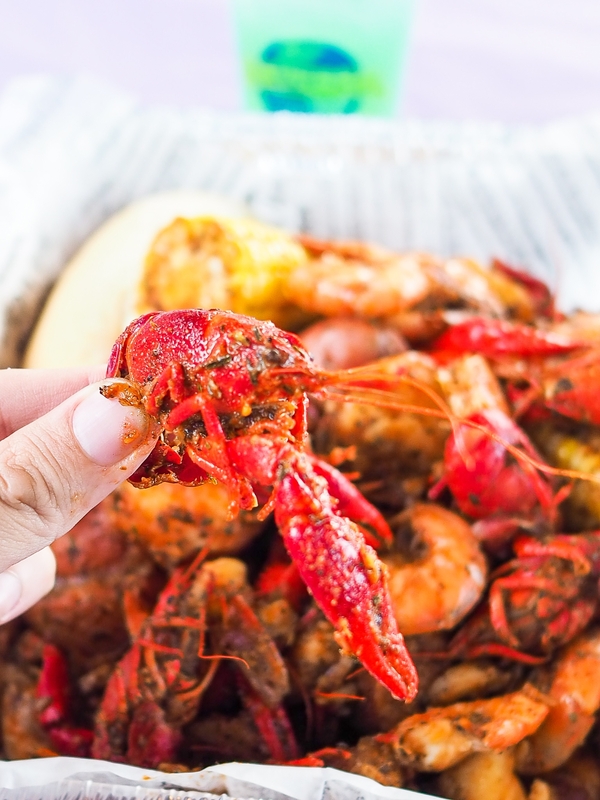 It can get a little messy and for the crawfish novice – one word of advice, step one is to twist the head off, then pull to get to the juicy tails. 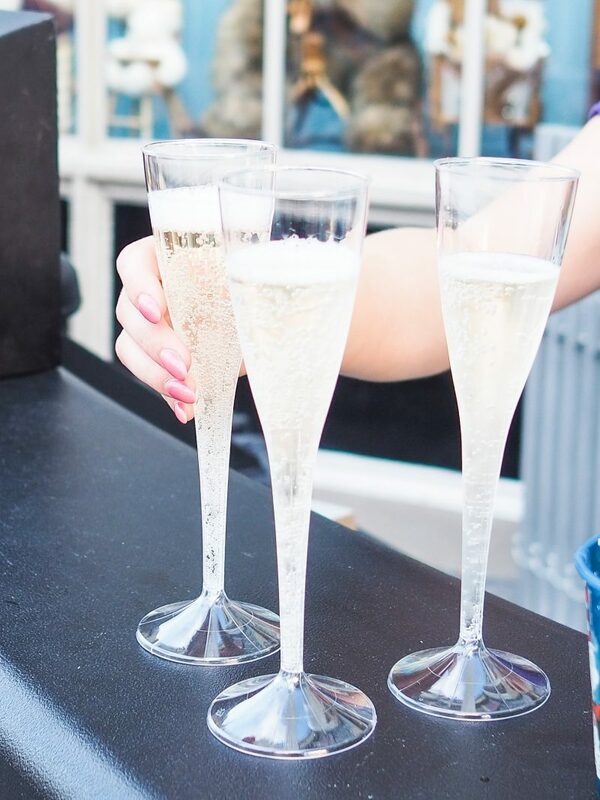 Don’t worry there’s wet naps for cleaning up afterwards, too. 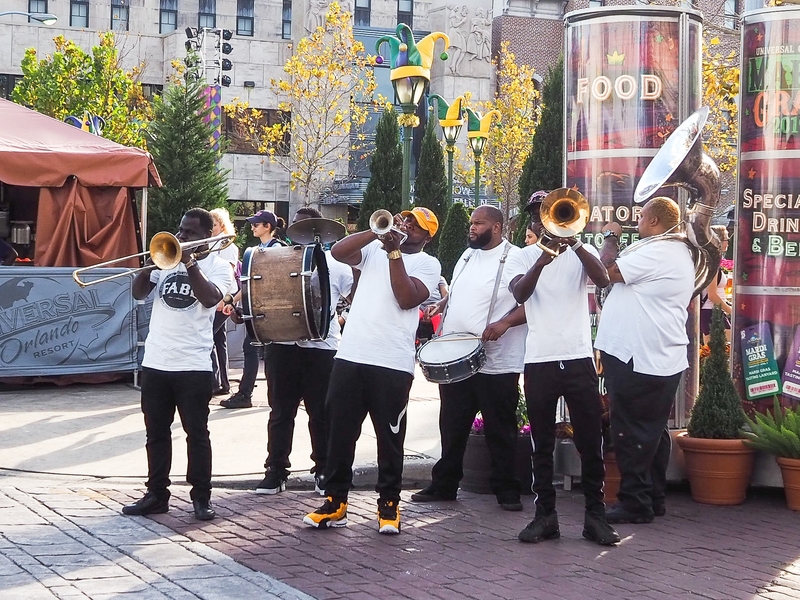 The setting at Battery Park Pavilion, overlooking the water and with an architecture style reminiscent of New Orlean’s French Quarter, is something you might find on Bourbon Street or overlooking Lake Pontchartrain. 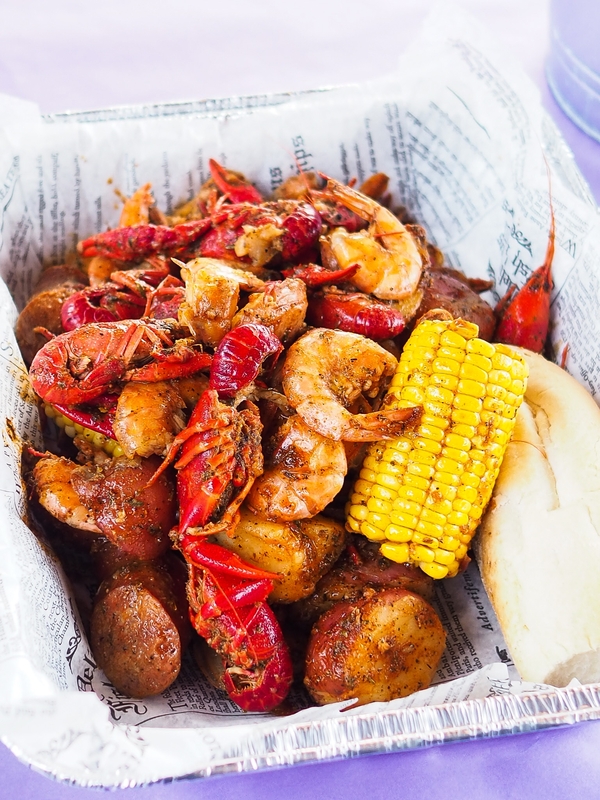 As part of the Bayou Boil experience you’ll be able to enjoy an all-you-can-eat Louisiana-style boil featuring crawfish, shrimp, potatoes, and corn-on-the-cob. 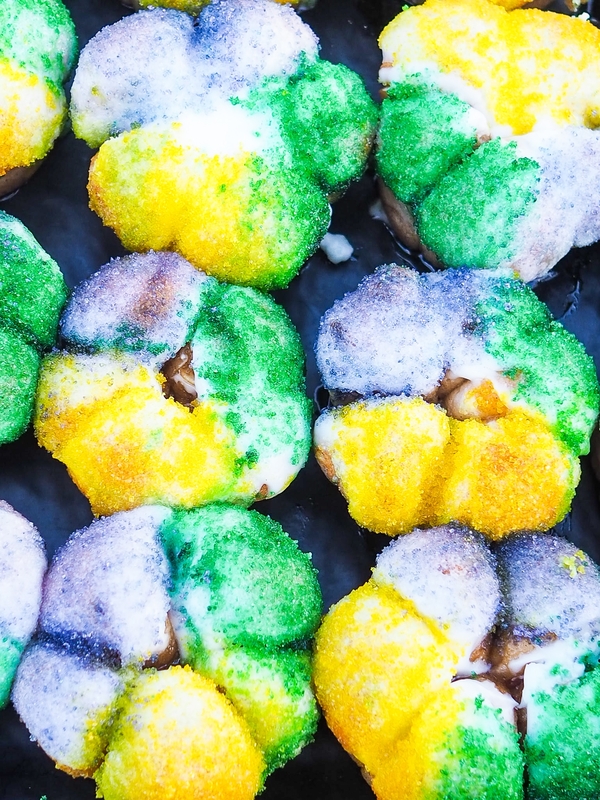 There’s hint of citrusy lemon in the Cajun spice blend. 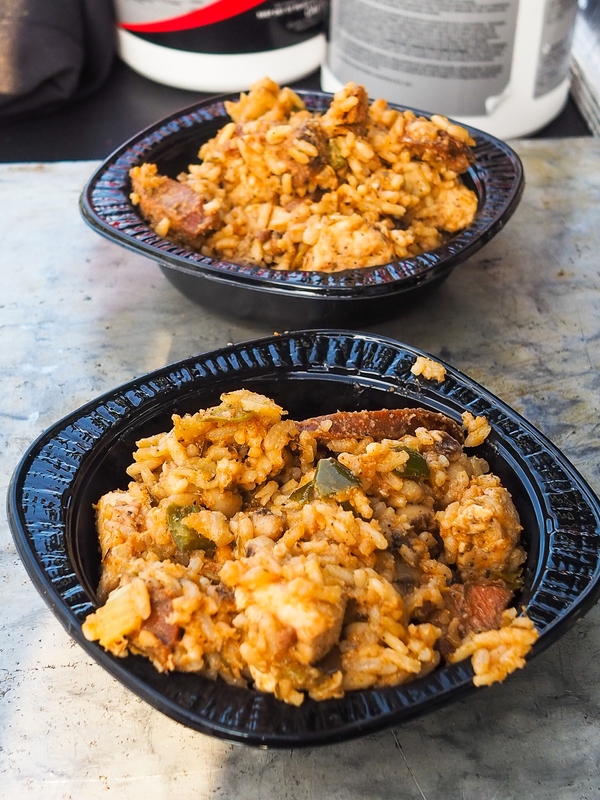 You can also choose from chicken and andouille sausage jambalaya on request. 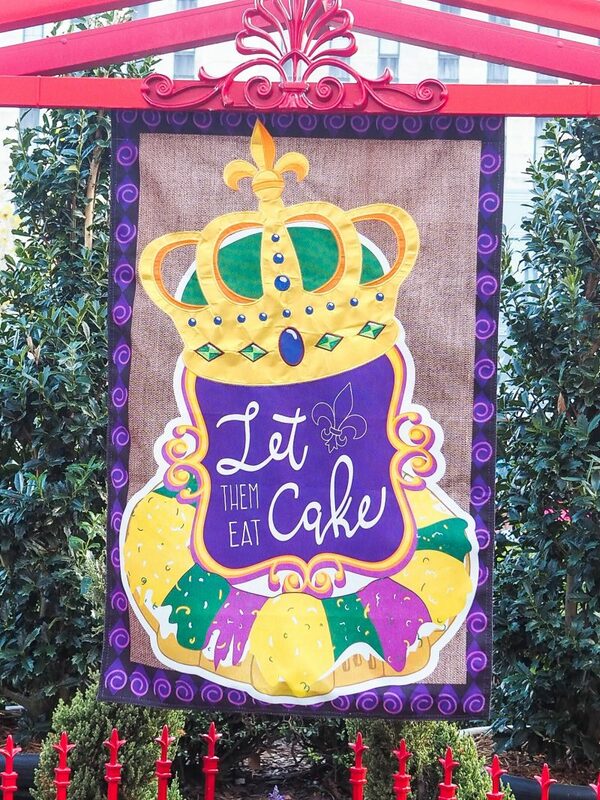 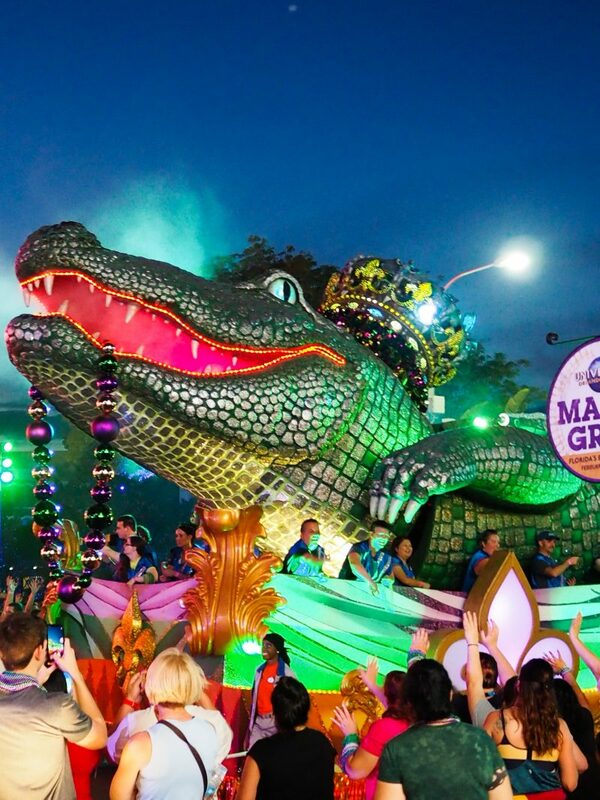 Come time for the Mardi Gras parade, you’ll have an exclusive viewing area for the parade where you’ll be treated to miniature King Cakes, beignets, sparkling wine and assorted non-alcoholic beverages such as apple cider and coffee – think of it as a dessert reception for the parade. 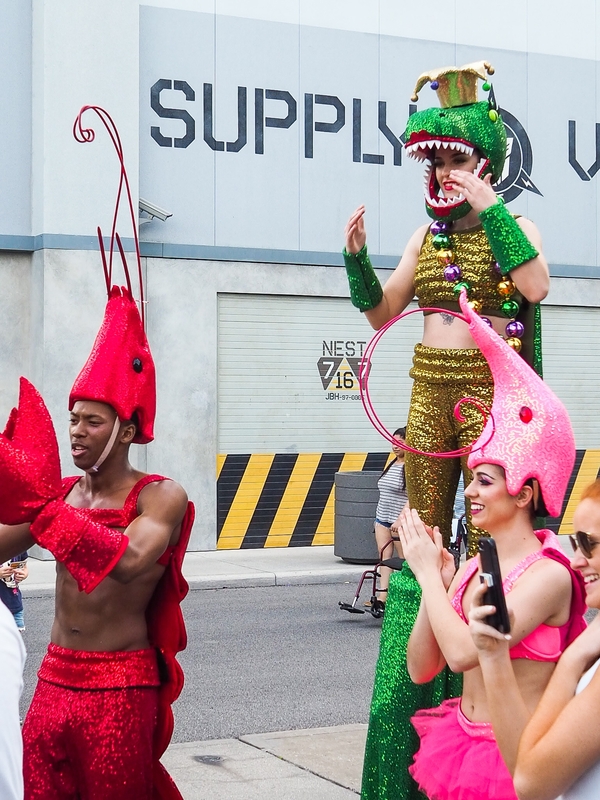 For $59.99 per adult and $39.99 per child, it is well worth the price, especially if you are familiar with how pricing can go with theme park food and event costs. 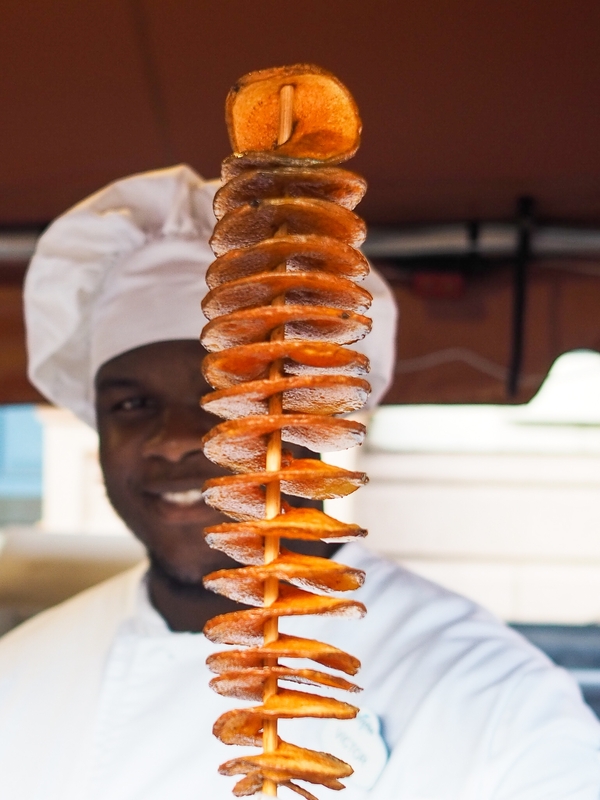 You’ll be able to enjoy new and returning favorites daily in the French Quarter Courtyard located in the New York area in Universal Studios Florida starting at 4 p.m. from Feb. 9 – April 4 – served in tasting sizes. 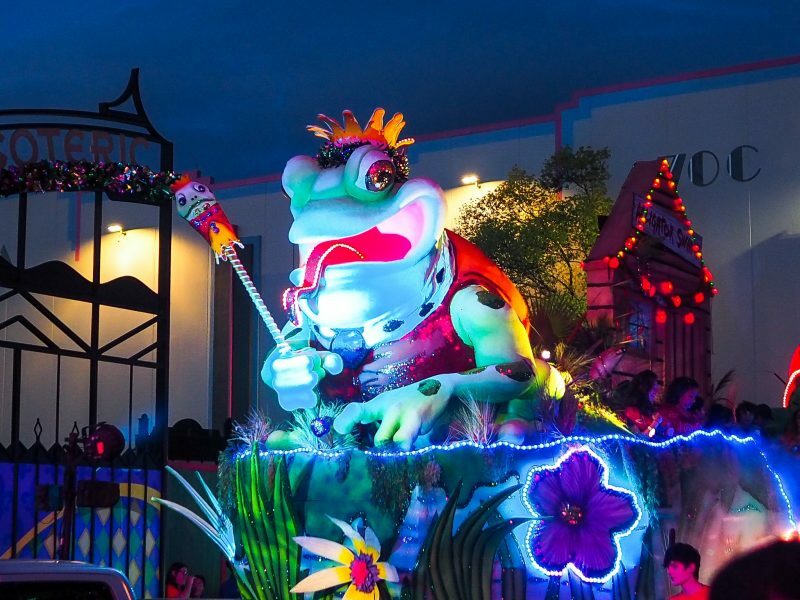 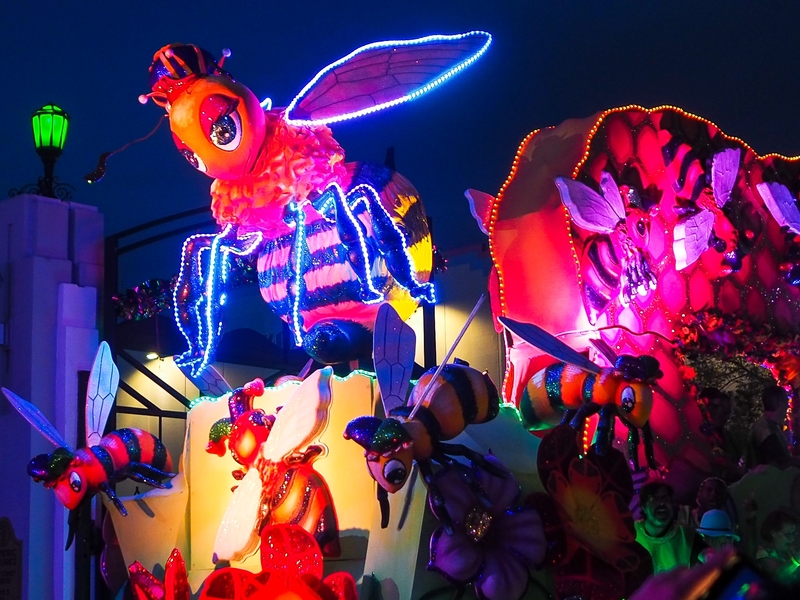 Enjoy nightly parades with outrageous street performers, colorful costumes and countless beads flying through the air. 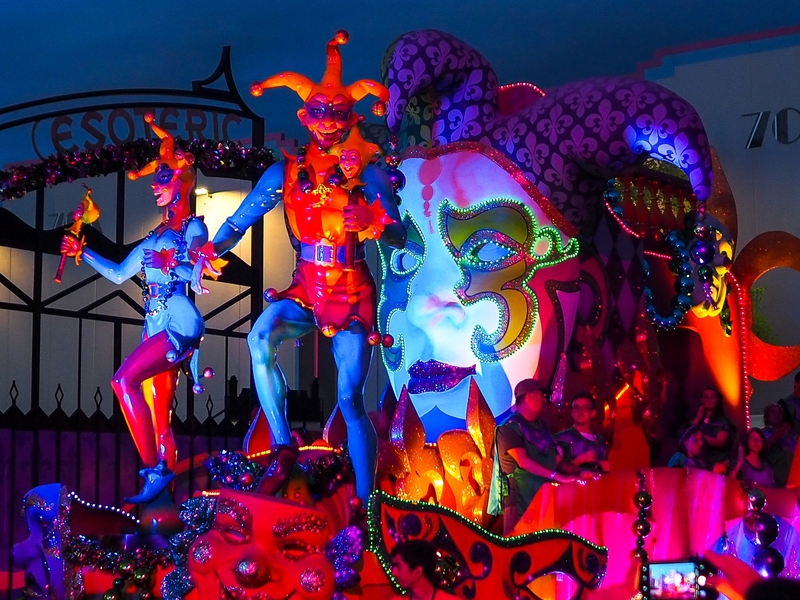 Catch some of the biggest names in music live in concert on select nights. 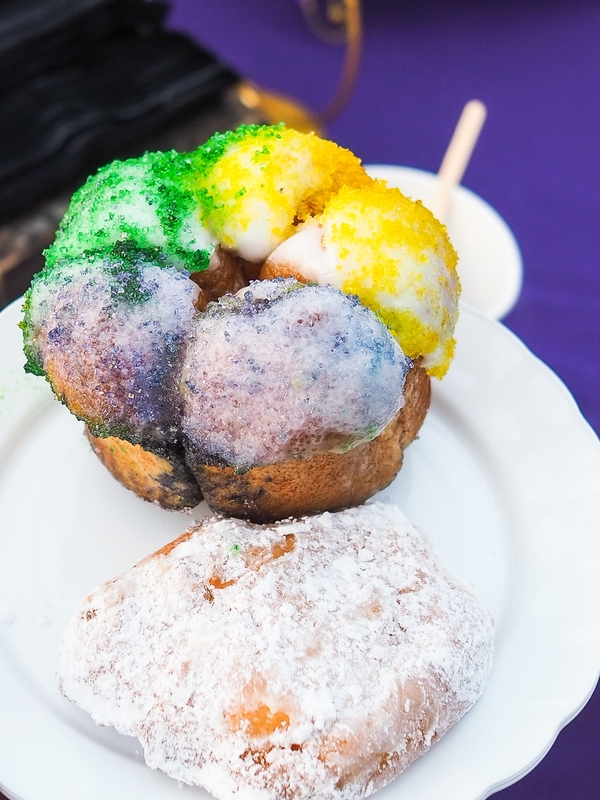 Plus you’ll enjoy authentic New Orleans bands each night and mouthwatering Cajun food available for purchase. 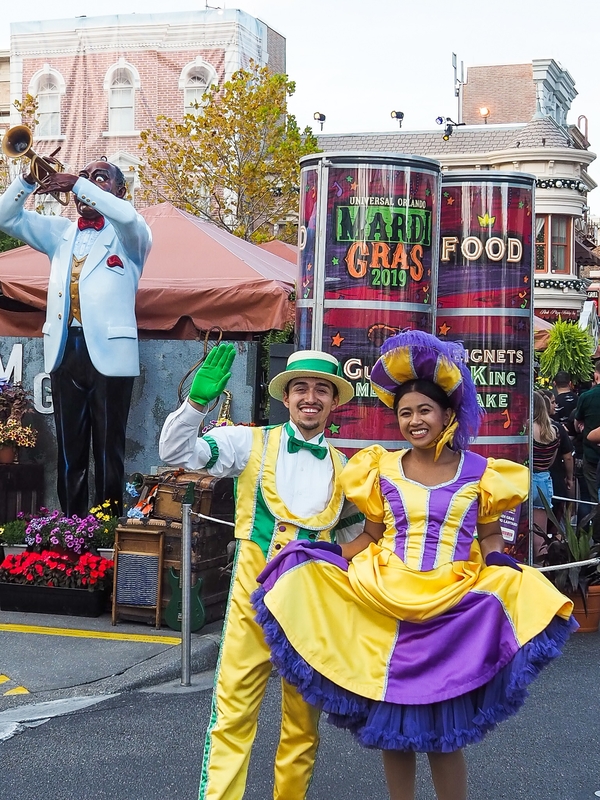 Best of all, the festivities are included with your theme park admission or Annual Pass. 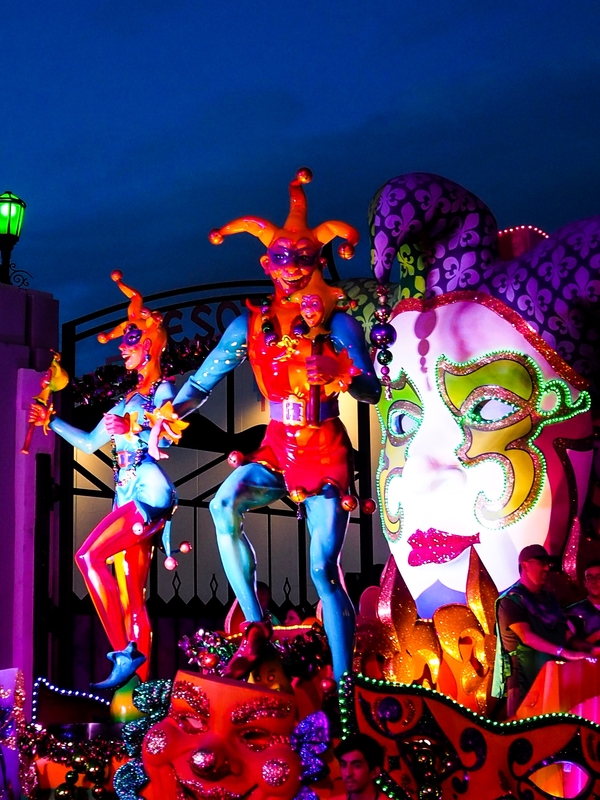 Seasonal Passholders can also experience the event on select nights.